The headliner of the pay-per-view card is an incredible matchup between two of the best young fighters in the game. UFC Featherweight Champion Max Holloway puts his 12-fight win streak and title on the line when he takes on rising star Brian Ortega. 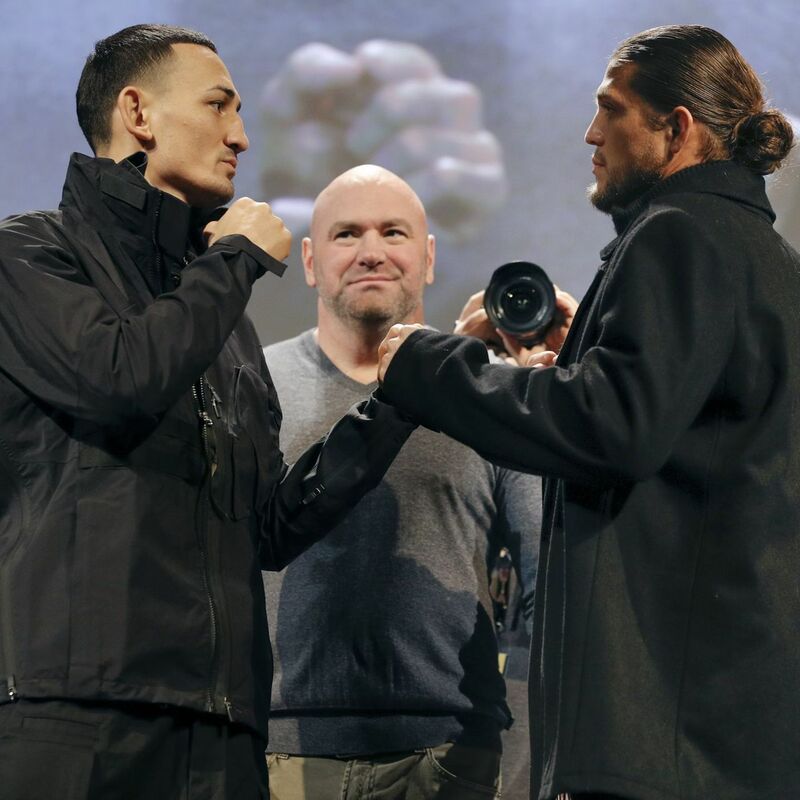 This fight was supposed to happen back in the summer, but it had to be pushed back due to Holloway's health issues. He says he's fully healthy now and ready to defend his title against Ortega, who is undefeated in his career and coming off of a brutal KO finish over Frankie Edgar. Both Holloway and Ortega are incredibly well-rounded fighters who have shown very few flaws in their respective games, making this a very difficult fight to predict. Both men are already among the greatest featherweights ever, and because they're both on the right side of 30 they have plenty of time to continue building their legacies. What a great fight, and one can only hope that both men make it to the Octagon healthy and with good weight cuts. But just in case, the UFC has tabbed Renato Moicano as the official backup. One way or another, the UFC featherweight title is going to be on the line this weekend. 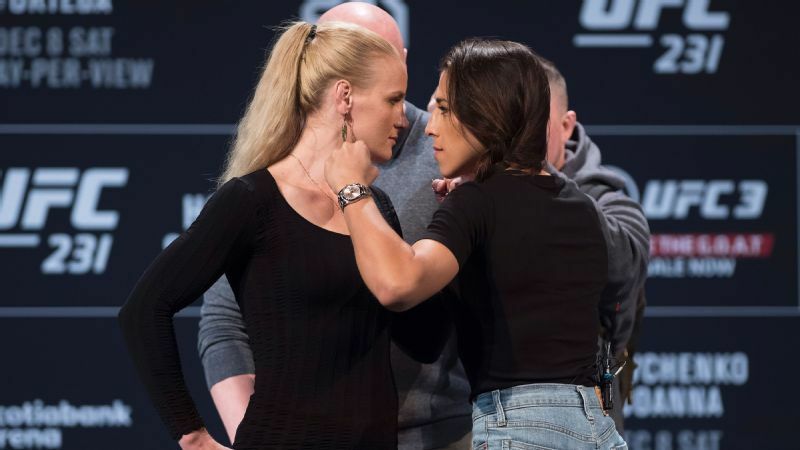 Former UFC Women's Strawweight Champion Joanna Jerzejczyk could make history in the co-main event flyweight title bout, as she looks to become the first woman in UFC history to hold titles in two different weight classes. She has a tall task in front of her though, in the form of former bantamweight title contender Valentina Shevchenko, who viciously beat down Priscila Cachoeira in her flyweight debut earlier this year. Shevchenko has had a rough 2018 because her fight against Nicco Montano was pushed back several times, but now she finally gets to unleash her frustration against Jedrzejczyk. This should be an incredible mixed martial arts contest between two of the greatest female fighters ever. Shevchenko, as the bigger fighter, is the odds-on favorite to win the flyweight but, but if Jedrzejczyk can pull off the upset she can make history and return to championship glory; that's no doubt motivating for her. On paper, this is one of the best women's MMA fights ever. The UFC was smart to put flyweights Jessica Eye and Katlyn Chookagian on this card in case of an injury to Jedrzejczyk or Shevchenko. If that happens, either of these fighters can step up to fight for the title. As it stands, they are probably competing in a de facto flyweight title eliminator anyway. 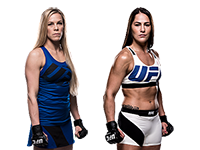 Chookagian and Eye are both 2-0 in the UFC's newest weight class and an impressive win here would likely set the winner up for a shot at the co-main event winner. 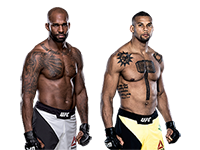 Two of the hardest-hitting fighters in the light heavyweight division open up the main card, as Thiago Santos takes on Jimi Manuwa. The UFC was smart to make this the pay-per-view opener, as it's likely going to result in someone getting viciously knocked out. Santos recently moved up to light heavyweight and knocked out Eryk Anders in his debut at 205. He looks to be more durable and powerful at his new weight class and could quickly move into title contendership with a win over Manuwa. The British KO artist is on a two-fight losing skid, but we've seen Manuwa score a number of thunderous knockouts in the UFC. This Santos vs. Manuwa fight couldn't possibly be boring. 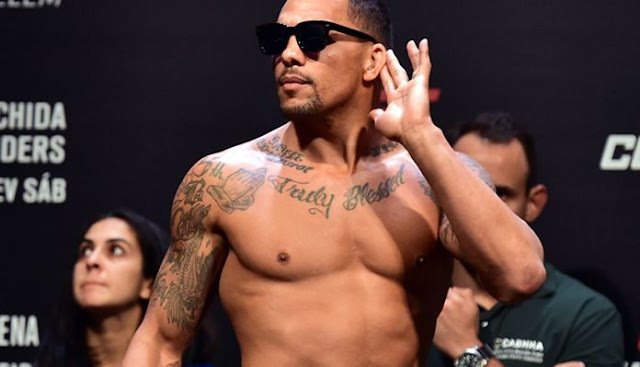 There's always a fight that the people want to see, and this time it's a middleweight battle between middleweight heartthrobs Eryk Anders and Elias Theodorou. Not only are Anders and Theodorou quality fighters, but they're both also very popular with UFC fans, especially on the female side of the fanbase. Anders is coming off of a TKO loss to Thiago Santos, but overall the former collegiate football player has looked like a very special talent since starting his MMA career two years ago. Theodorou is a former TUF winner and will be fighting in his hometown of Toronto for the first time ever in this fight. In a division loaded with contenders, both Anders and Theodorou need big wins to separate themselves from the rest of the middleweight pack, but only one of them can get one on Saturday night. It wasn't long ago that Claudia Gadelha was considered a future champion in the women's strawweight division. 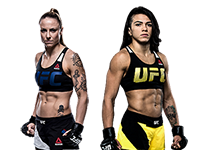 But two losses to the former champ Jedrzejczyk and a lopsided beating at the hands of Jessica Andrade has Gadelha now on the outside looking in. After a poor showing against Carla Esparza in her last fight, Gadelha desperately needs an impressive victory to avoid becoming lost in the sea of contenders at 115 lbs. She takes on Nina Ansaroff in what is not only a must-win fight, but a fight she needs to dominate. It won't be easy, as Ansaroff is on a three-fight win streak and appears to be in the best form of her career. Win or lose though, it's possible this could be the last we see of Gadelha at 115, as her future may be in the women's flyweight division. There are a couple of young prospects fighting at UFC 231 that deserve mention. In the light heavyweight division, Aleksandar Rakic returns against Devin Clark. Rakic, who is only 26, is on a 10-fight win streak and is already 2-0 in the UFC with a historically-dominant outing against Justin Ledet in his last fight. The UFC needs new contenders at 205 lbs, and Rakic certainly has the potential to be one. 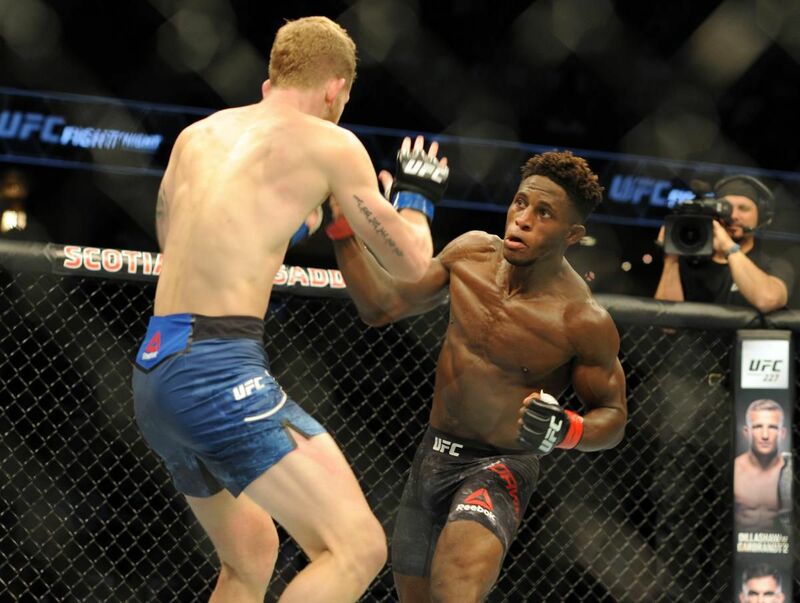 In the featherweight division, Canadian Muay Thai striker Hakeem Dawodu fights Kyle Bochniak in what should be an entertaining standup war between two guys who aren't afraid to throw down. Dawodu is just 1-1 in the UFC, but the former World Series of Fighting standout has always been viewed as a future featherweight contender, and an impressive win over Bochniak would be huge. Finally, bantamweight Brad Katona takes on Matthew Lopez. The Canadian Katona won The Ultimate Fighter 27 over this summer, and the UFC is giving him a step up here against a quality fighter in Lopez. The UFC bantamweight division is loaded and he's far away from a title shot, but Katona is a nice prospect with a lot of untapped potential. Keep your eye on Rakic, Dawodu, and Katona this weekend. As you can see, there are plenty of important fights on this card aside from the two title fights at the top of the bill, so don't let these storylines fly under your radar. It's nice to see the UFC return to Toronto with a solid card, and hopefully the Octagon comes back sooner than later to one of the sport's biggest and most important markets. For now however, enjoy the action.